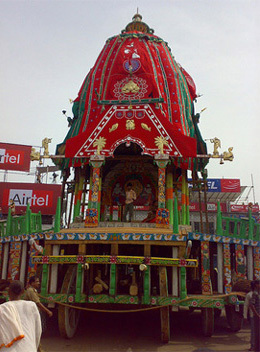 The chariot of Lord Balabhadra is known as Taladhwaja. 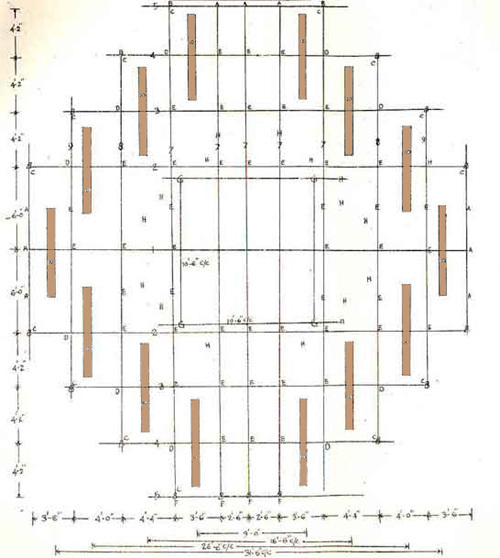 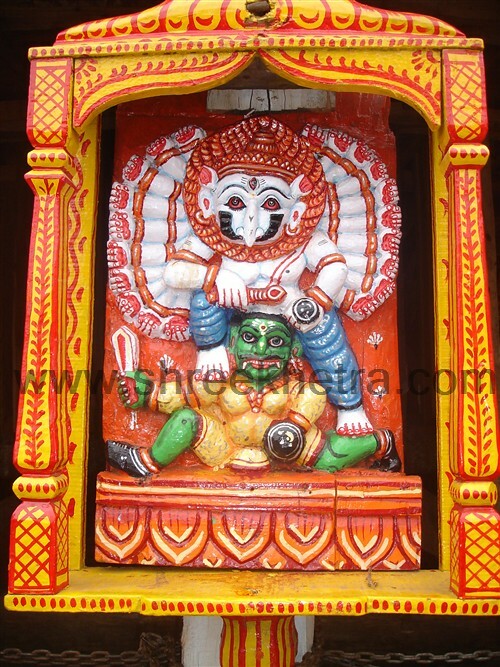 The easiest way to identify the Chariot of Lord Balabhadra is by color of the covering of the chariot. 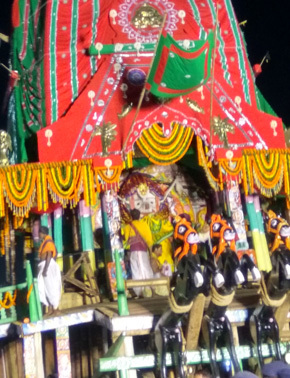 The chariot of Balabhadra has a green and red color canopy and it is the second largest of the chariots. 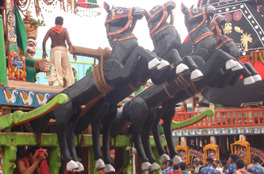 The Chariot has 4 horses and the color of the horses is Black. 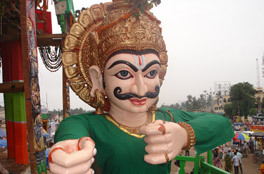 The height of the Chariot is 44 feet and it has 14 wheels. 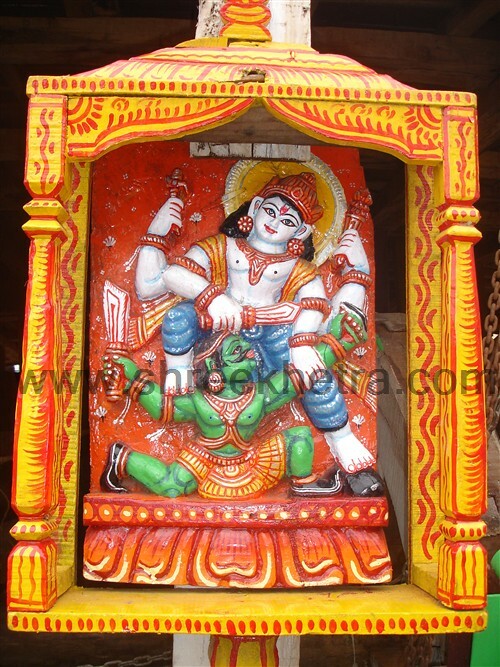 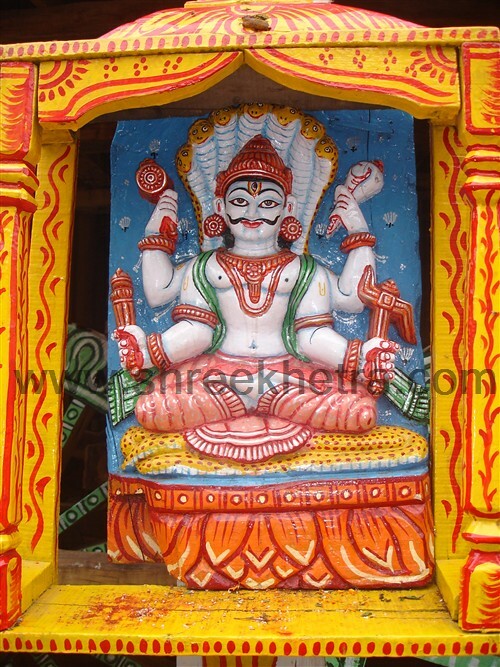 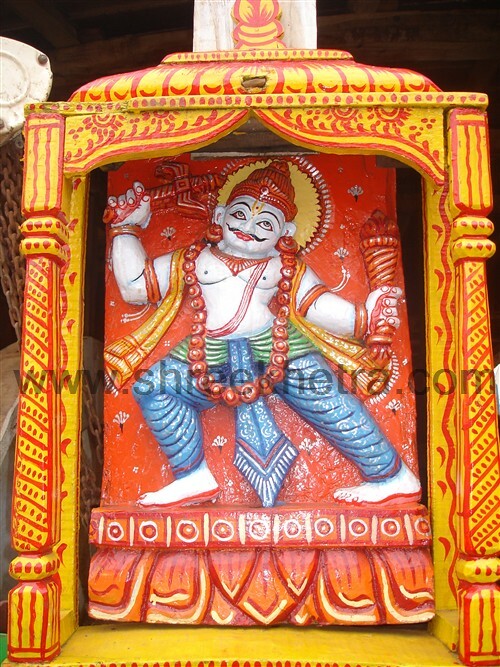 The guardian deity of the chariot is Vasudev and the charioteer is known as Matali. 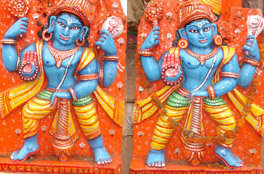 Gate Keepers of the Chariot are Nanda & Sunanda. 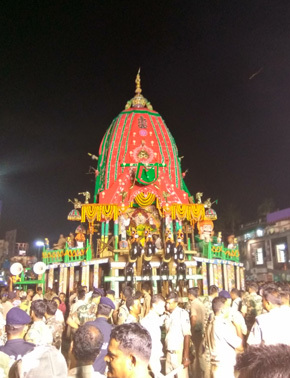 The flag on the chariot is known as Unnani. 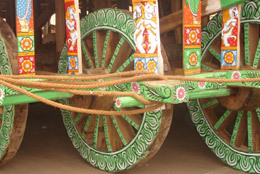 The rope that is used to pull the Chariot is known as Basuki. 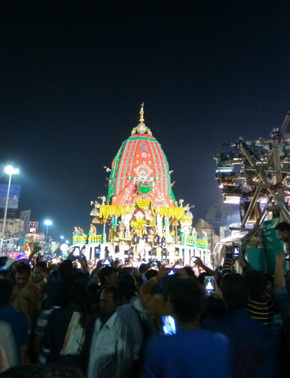 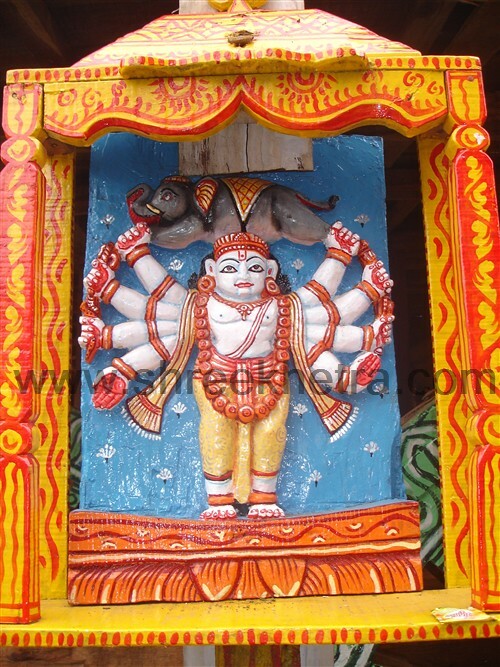 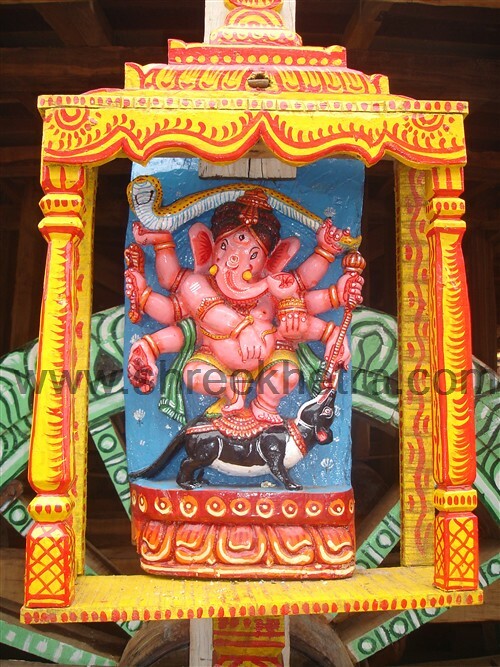 Along with Balabhadra, the chariot also has the idols of Ganesha, Kartikeya, Sarvamangala, Pralambari, Halayudha, Mrutyunjaya, Natamvara, Mukteshwar & Sheshadeva. 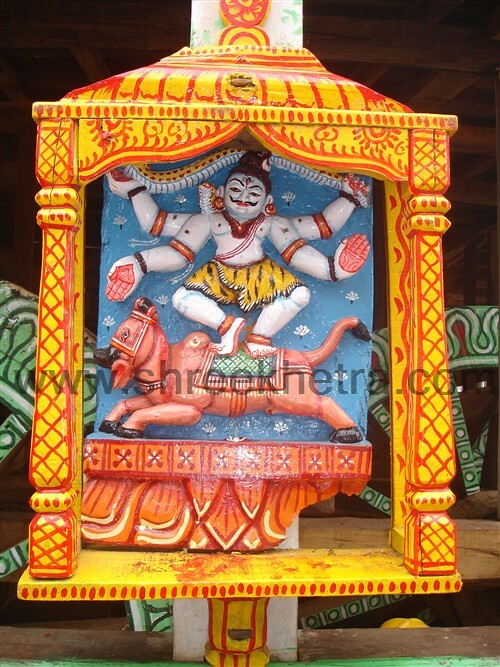 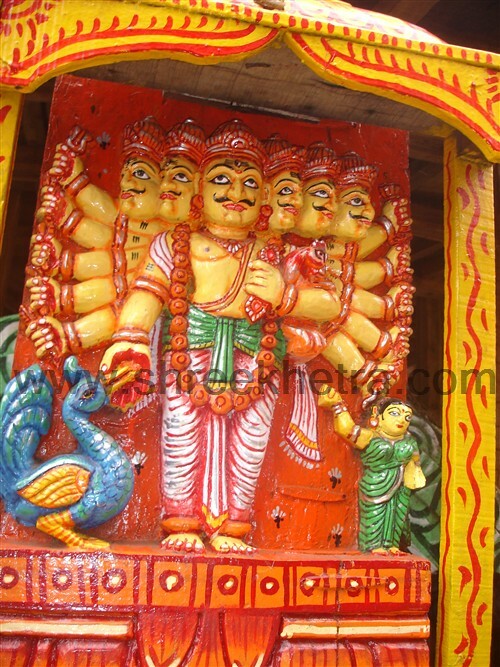 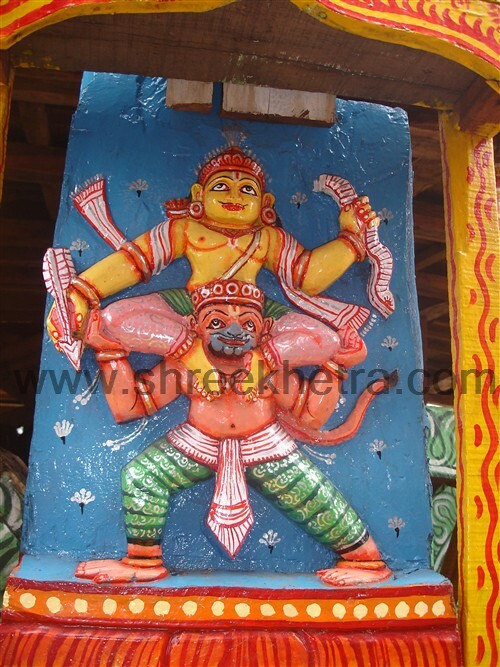 The face of the Chariot is known as Ketu Bhadra and the weapons are Hala & Musala.